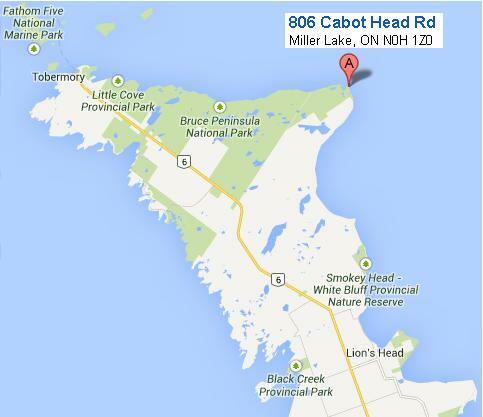 The historic Cabot Head Lighstation perches on the northeastern tip of the Bruce Peninsula, much as it has since 1896. Though operation systems have changed, this important navigational aid serves to guide vessels large and small on the Georgian Bay. The light itself now stands atop a steel, solar powered and automated tower. The lighstation and lightkeeper’s cottage remain vibrant and alive with activity, preserving the human and natural history of its beautiful, rugged coast. Cabot Head witnessed the heyday of the Great Lakes shipping and fishing, timbering and pioneering in the Bruce Peninsula’s remote wilderness. Today, visitors around the globe come to explore maritime history, and relive the pioneering spirit.